Wordfast products are try-before-you-buy. You must have downloaded, installed, and evaluated the product(s) before purchase. No refunds. 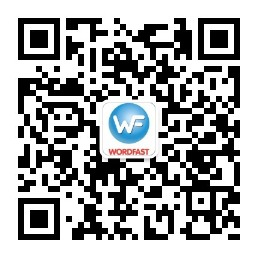 Wordfast offers a generous demo mode; Wordfast offers gratuity licenses for learning/humanitarian organizations. If you previously owned a Wordfast license and it has expired, do not buy a new one. Instead, log into your user account at www.wordfast.net and renew your license for 50% of the standard list price. Taxes, like European VAT, may apply depending on the location/jurisdiction you are buying from. Our payment processing partner handles those. Our prices are in euros (EUR). Even if you are outside the Euro area, we recommend that you keep the price in EUR once on the MyCommerce/Share-it online store and let your bank or credit card company convert the amount. Share-it usually uses less favorable exchange rates. A bulk discount automatically applies for the purchase of multiple licenses (15% for 3 or more licenses, 30% for 10 or more licenses). Contact us for orders above 15 licenses. Questions? Check out the Frequently Asked Questions (FAQ) on purchasing a Wordfast license.